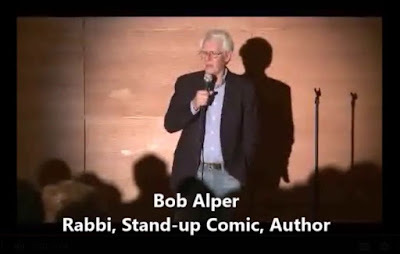 Jewish Humor Central: A Joke to Start the Week - "A Difficult Match"
For the first Monday in March we welcome Rabbi Bob Alper -- rabbi, Stand-up comic, and author, to our Joke to Start the Week family. We've been posting video clips from Rabbi Bob's stand-up comedy sessions on Jewish Humor Central since November 2009. The funny reform rabbi recently performed in a synagogue in Connecticut and graciously gave us permission to share some of his jokes with you. We're sharing one today and we'll be posting some more on upcoming Mondays.